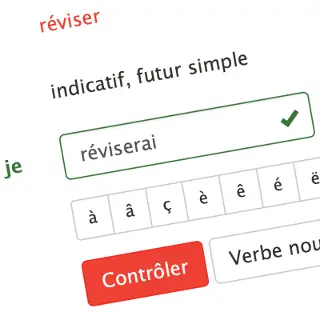 French, grammar and verbs - C'est facile! Tu parles français? or Do you speak French? C'est facile! gives you a hand in learning the French language. 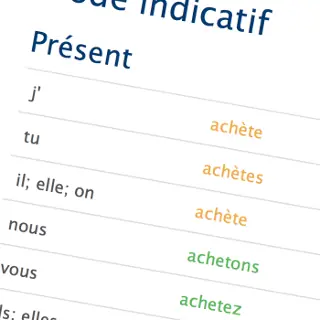 This site offers complete conjugation tables of more than thousand French verbs. Furthermore you can practise verb conjugations for free on line in different interactive ways. French is a Romance language spoken in France. Not only in this country, but also in the region Wallonia and Brussels in Belgium, the french speaking region Romandy in Switzerland and Monaco it is an official language. In Canada, French is an official language alongside English. In many African countries French is spoken, among others: Democratic Republic of the Congo, Senegal, Cameroon, and Madagascar. In total 220 million of people in the world speak French. So don't wait and just start learning this world language: C'est facile!